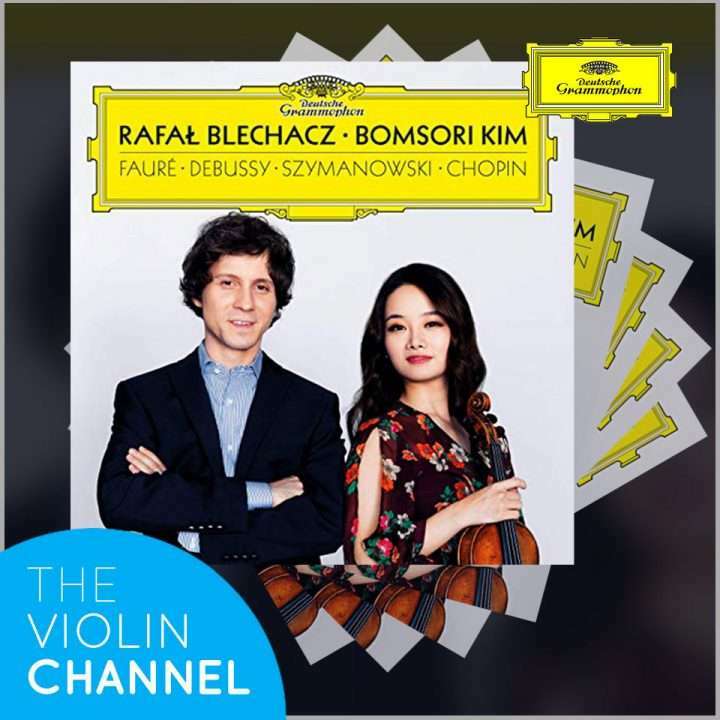 To help celebrate the international release of VC Artist Bomsori Kim and acclaimed Polish pianist Rafal Blechacz’s new album: ‘Faure, Debussy, Szymanowski, Chopin’, The Violin Channel in conjunction with Deutsche Grammophon is this week giving away 5 personally-autographed fresh-off-the-press CD copies. The disc features Faure’s Violin Sonata No. 1 in A Major, Debussy’s Violin Sonata in G Minor, Szymnowski’s Violin Sonata in D Minor – and legendary violinist Nathan Milstein’s violin and piano arrangement of Chopin’s Nocturne in C-Sharp Minor. “As a duo, Rafal and I were looking for repertoire that showcased our partnership – yet still enable us to project our personalities …” Bomsori has told The Violin Channel. “We chose a number of repertoire gems including Szymanowski’s Violin Sonata … a real hidden treasure full of passion and energy that we both agreed deserved to be played more often …” the Wieniawski, Montreal, Joseph Joachim, Tchaikovsky, Sendai, Sibelius and ARD International Violin Competitions major prize winner has said. Entries Close: Monday 4th, February, 2019. Closing date for entry will be 11.59pm 4th February 2019 (New York Time). After this date no further entries to the competition will be permitted. Previous articleVC Artist Jennifer Pike’s ‘The Polish Violin’ CD Winners Announced!